It’s July and time to start thinking about your winter garden pruning. Cutting back your plants promotes new fruit, bigger bushes and finer flowers. Pruning allows you to keep your trees and hedges in perfect shape – neat and tidy. Pruning is best done in July so you can see your flowers show off their splendour in the springtime. If you prune them any later, then they will only develop later. We recommend that you snip them now to give them enough time to sprout by September. Always use the right tools to seamlessly get the job done and make sure they are sharp. There are a number of tools which you can use, such as: secateurs, loppers, long reach pruners, pruning scissors and saws. Protect yourself with a reliable pair of gardening gloves – they will save your hands! When pruning, make sure you cut clean and precise as distressed and jagged plants are vulnerable to pests and disease. Assess the level of pruning your plants need and then cut them accordingly. If a tree or plant is growing badly, you can rigorously prune it to promote a healthier, faster growth, however if a plant is showing strong growth then it is only necessary to lightly trim it. Remove all old, dead and weedy branches and thin out any overgrown stems. Cut all branches that overlap each other in the centre of the plant to urge it to grow in a vase-like shape. Flowers and plants that are growing over a pergola or arch, don’t need to be pruned too heavily. Clip only the damaged and dead stems off to encourage new growth. Never overwater the freshly snipped plants, but rather wait for the rainy season to start. Do not prune any plants that bud in late winter or the warmer seasons, only prune those specific ones when they are done flowering. Seal the pruned cuts on bulkier branches with a tree sealant and then spray them with an insect spray to keep off pests. After August, start preparing to fertilise your garden plants so they can be well-fed to flourish in the new season. Pruning is something you can do on your own, or you can call a professional to do it. 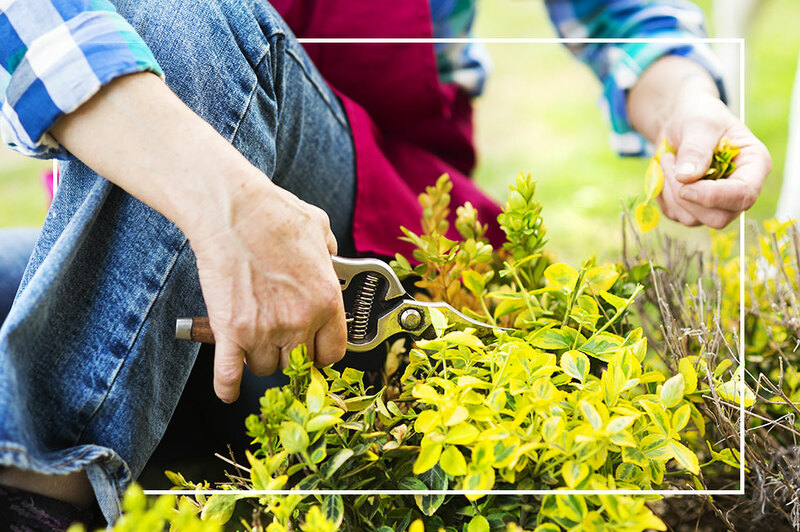 Remember, your favourite MICA Hardware can always help with great garden tips and safety advice. Get all the pruning, prepping & protective garden tools and equipment you need at MICA!